The Coachella 2012 lineup has been announced! Billboard reports that the Coachella 2012 lineup will include Radiohead, the Black Keys and a collaboration between Dr. Dre and Snoop Dogg as the headline acts. Also included in the 2012 lineup is Neutral Milk Hotel’s Jeff Mangum, Refused, At the Drive-In, Mazzy Star, Pulp, Swedish House Mafia, Girl Talk, DJ Shadow, Azealia Banks, the Weeknd, A$AP Rocky, Arctic Monkeys, Feist, Wild Flag, Bon Iver and Florence + The Machine. 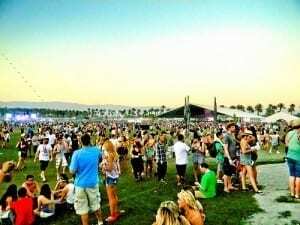 The Coachella 2012 festival will be held at Indio, Calif.’s Empire Polo Club on April 13-15 and April 20-22. Check out the full Coachella 2012 lineup here.